Did you know that your electromagnetic radiation from your cellphone is absorbed by your head and body? Exposure to such radio frequency energy has the potential to cause cancer, as indicated by the Word Health Organization since 2011. Those most vulnerable to the potentially damaging effects of cellphone radiation are young, growing children, many of which are becoming addicted to social media and games. Finnish start-up company, Cellraid has developed unique applications to measure, monitor and also reduce exposure to cellphone radiation. Current regulation of cellphone radiation dates back to 1996 when cellphones were used simply for occasional voice calls by business people. Importantly the phones were only transmitting potentially harmful radiation during the call itself. Phones transmitters were designed to not exceed SAR value 1.6w/kg in the US (2.0w/kg in Europe) while held a distance of 15mm from the head, at a specific angle. Such a laboratory test scenario far removed from modern smartphone use, when the phone is always connected to email and social media, receiving and transmitting constantly and typically carried in a pocket close to the skin and important organs. Not only has phone usage behavior changed, so too has the user. No longer just a tool for business, the phone has become a toy, even a companion, for increasingly young children, including toddlers, with many seemingly addicted to their use. Clearly more attention must be paid to the risks of exposure to potentially carcinogenic radio frequencies. Tools developed by Cellraid, for both consumer and professional use, increase awareness of radio frequencies and can also reduce the level of our exposure. 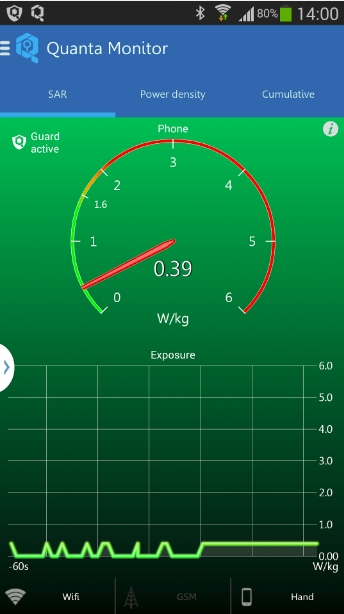 Quanta Pro measures RF exposure level of the user in the field, streets, buildings, homes and places of work. The software runs on any Android device. 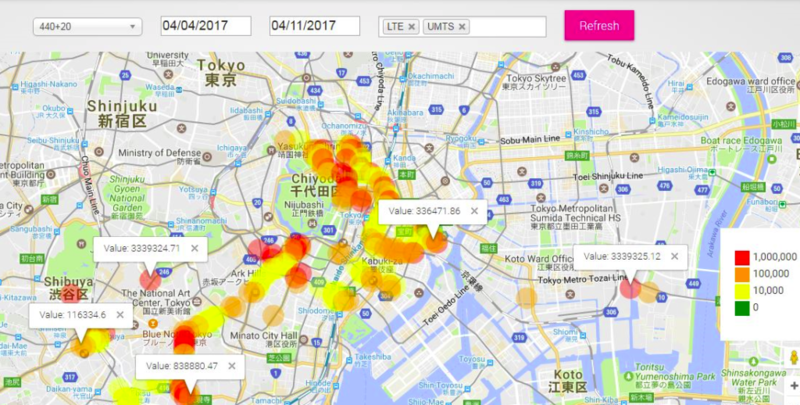 It provides a low cost measurement solution for Telecom Authorities and Operators to identify high RF Exposure locations. 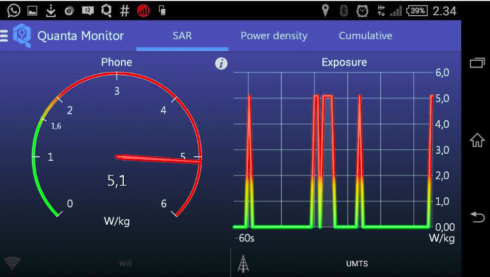 Quanta Pro is able to measure the combined level of radiation from the cellphone, network antennas and even Wi-Fi. 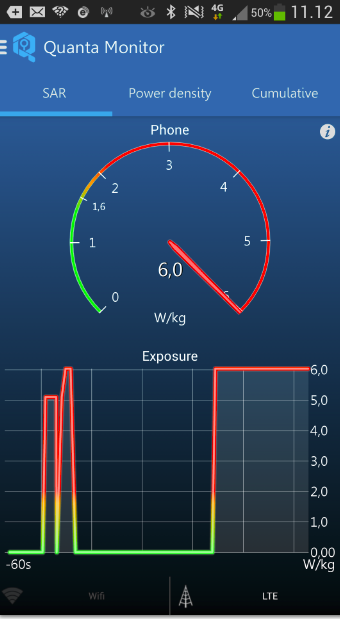 At present network operators only measure radiation from network antennas (downlink). However, the main source of RF is the phone itself, which represents 99,9989% of all exposure. “The strange thing is that telecom authorities and operators are focusing today on antennas that represent only 0,001% of the exposure”, CEO Ala-Mieto says. 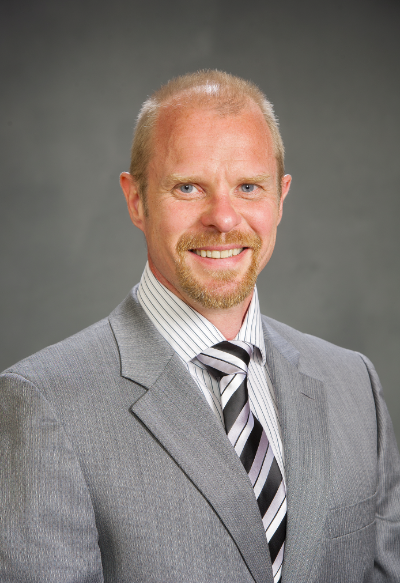 “I believe that soon every operator will measure the total level of RF exposure. And a real opportunity arises, when they compete to be “the healthiest choice” for their customers. When the regulated limits of SAR, 2.0w/kg (or 1.6w/kg in the US), is passed, then the third Cellraid’s app comes in action; Quanta Guard reduces the RF exposure level, when the phone is in the consumer’s pocket. The school boy is protected, and his future family prospects unharmed by extensive RF exposure. Quanta Monitor and Quanta Guard are available in the Google Play Store for Android phones. “We look forward co-operating with cellphone manufacturers like Apple, Sony, and Samsung, as well as telecom operators and authorities”, says CEO Ala-Mieto respectfully and with the goal of “making all our communication life better.